In today's environment, protecting your customers and your end product goes beyond implementing a food safety program, protecting against the accidental contamination of food. More than ever, every restaurant and foodservice establishment should also create and implement a food security program, protecting against the intentional contamination of food. The National Restaurant Association and the National Restaurant Association Educational Foundation worked closely with the Food and Drug Administration (FDA), the U.S. Department of Agriculture (USDA), and the U.S. Department of Homeland Security (DHS) to develop a systematic food security management approach specifically for the restaurant and foodservice industry. 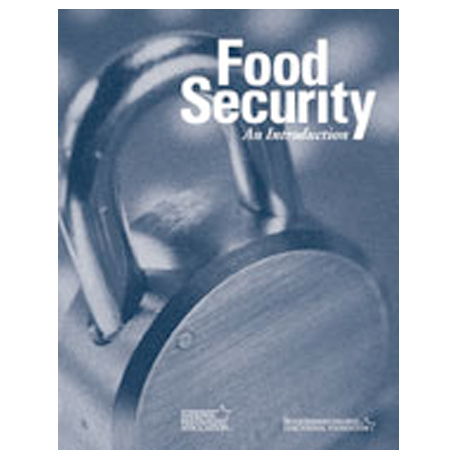 Food Security: An Introduction introduces a six-step approach of Threat Evaluation, Assessment, and Management (TEAM) to identify and address food security threats. Food Security: An Introduction is suitable for managers to better understand what needs to be done to address the food security need at the unit level.